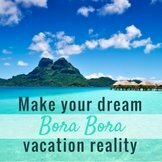 Closed Bora Bora Hotels: Are they re-opening? 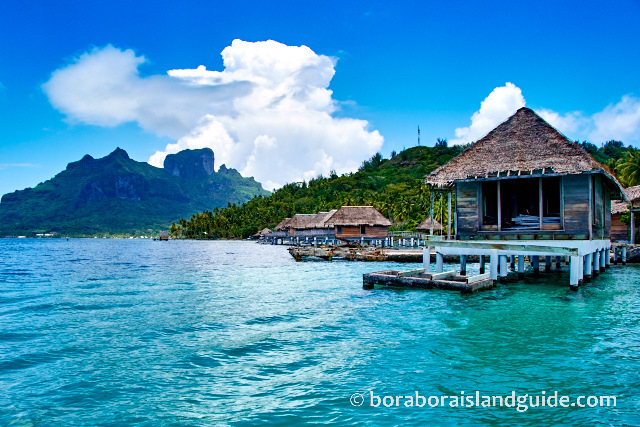 Have you been wondering if any of the closed Bora Bora hotels are re-opening? Here's our latest information on them. 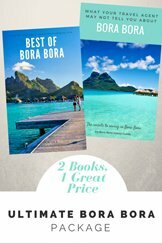 If you are disappointed that an old favorite is remaining closed, we have suggestions for ones which will give you a similar style of Bora Bora vacation. 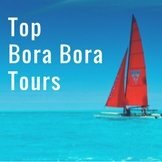 Luxurious Hotel Bora Bora was the favorite of many Bora Bora travelers during it's 30 years of friendly hospitality. In October 2008 it closed for rebuilding. Many people with fond memories of snorkeling around the beautiful coral heads, directly under it's over water bungalows, have been waiting for it to re-open. 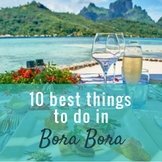 It's hard to believe that this is still on the list of closed Bora Bora hotels. But the plans included extra bungalows and the proposal needed a re-routing of a section of the Circle Island Road to provide the space needed for these. Government decided that the hotel must pay for remaking the section of road. 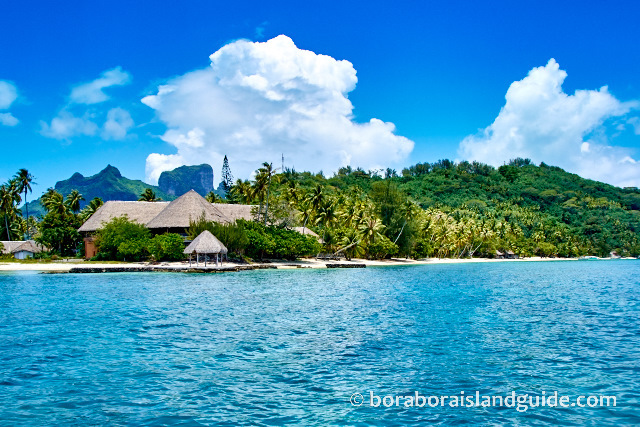 The owner has not considered that viable so this old Bora Bora landmark has remained closed. 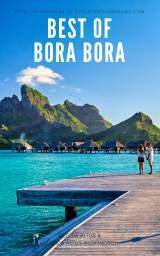 There's ongoing island gossip about the posibility of Hotel Bora Bora re-opening, but no plans underway. Club Med Bora Bora closed it's doors in January 2009. 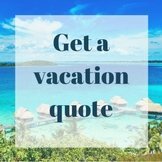 Many loyal Club Med fans appreciated being able to vacation on the Pearl of the Pacific with the all-inclusiveness, and jovial holiday spirit, that make Club Med resorts popular. This is the most missed of closed Bora Bora hotels. When we have driven past on the Circle Island road we have felt sad to see it's grounds and garden bungalows overgrown with tropical plants. And boating by on the lagoon, the once vibrant beachfront of the resort was lifeless. 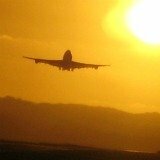 Just when we had decided that it will never be re-opened, a newscast in July 2012 announced that the old Club Med Resort had been bought by Australian billionaire mining tycoon, Clive Palmer. We didn't even know it was for sale! What did he buy it for? “Relaxation, serenity, and because no one else was going to buy it”. 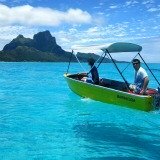 Like us, Clive considers Bora Bora to be the most beautiful place on earth, and wants to take his family there. He said that he has no plans to refurbish the resort just yet, but recognizes the potential for development. We know that he bought several Australian resorts last year, so this is not a random purchase. Look forward to something exciting emerging from the old Club Med site, which has 150 rooms, 4 villas and 46 staff units! Meanwhile, if you want to take your beloved to the most beautiful island in the world you don't have to be a billionaire or buy a resort. 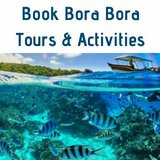 There's a variety of enticing Bora Bora resorts waiting to give you a warm Polynesian Island welcome. 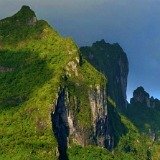 Club Med has also closed on the magnificent island of Moorea. 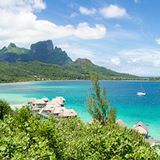 These were two of the most loved Club Med resorts in the world, but there are no all inclusive Club Med Tahiti resorts open now. 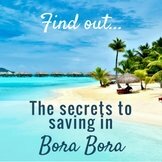 So here's the best way you can have a Bora Bora all inclusive vacation. 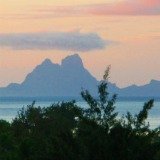 Several times I've been on Tahiti cruises and as the ship sails through the pass into Bora Bora Lagoon the passengers have excitedly rushed to the right side of the boat to photograph their first sighting of an over water bungalow resort. They're blissfully ignorant of the fact that this once beautiful Bora Bora Lagoon Resort on the north side of Motu Toopua is actually one of the closed Bora Bora hotels. 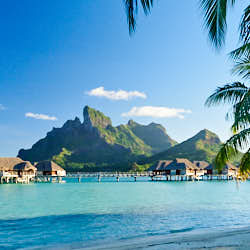 Bora Bora Resorts had less tourists arriving after the world recession. So Bora Bora Lagoon Resort was closed after it was damaged by the cyclone in 2010. It will not re-open. 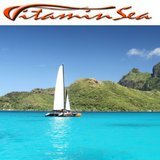 The Bora Bora Resort that offers a similar vacation with views around the lagoon and over to Bora Bora Island is the Pearl Beach Resort on Motu Tevairoa. The readers of esteemed travel magazine, Condé Naste, voted this romantic resort as their fifth favourite in Oceana. This more affordable hotel has small bungalows set in attractive gardens. 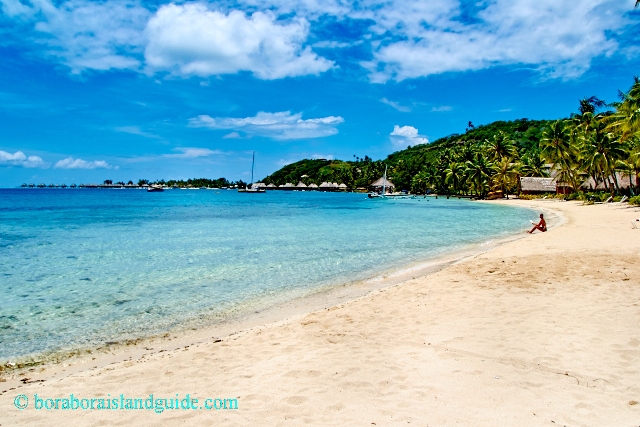 It's on a little, white sand beach, dotted with palms. We enjoyed a couple of hours swimming there after being dropped off at the end of an excursion in October 2010. It had a convenient little cafe, with a lovely atmosphere, set right on the beach. We also visited when we hired a motor boat from La Plage, which was operating from the hotel. But in early January 2012 we were surprised to find it closed when we walked past. La Plage, was still located there. 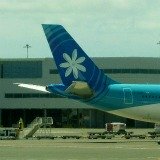 Novotel, by name, joined the closed Bora Bora hotels but it has re-opened as Bora Bora Beach Resort. 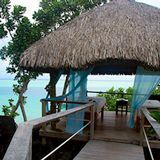 If you are looking for other accommodation with this style of bungalow, also consider the Sofitel Marara beach, which is right next door.